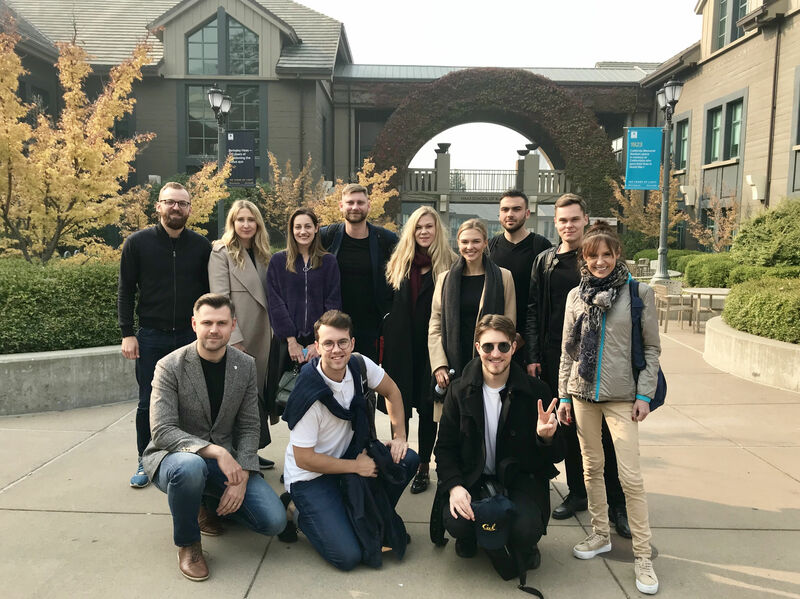 Short blog story from Startup Division team about their mission to Silicon Valley – expectations vs reality and the power of networking – what impressed the most? There’s no shortage of expectations when visiting the Silicon Valley. Many companies famed or failed in this gold rush state and we wanted to know everything they learnt along the way. Visiting Facebook, UC Berkeley, 500 Startups were definitely the highlights of the mission, but what surprised 44 Soft-Landing mission participants—10 startups (from Lithuania too) and 30 ecosystem builders from Europe—was how everyone we met although had a unique experience, communicated the same vibe and culture. In general, the pace was fast, food expensive, conversations short, and people helpful—the full Silicon Valley experience. We sat down for a chat with Andra Bagdonaite of Startup Division, an entrepreneurship support organization that is leading Soft-Landing project activities and the mastermind behind this mission. Mark Searle, Managing Director at Innovation Acceleration Group, UC Berkeley was kind to share his personal path filled with successes and failures. He noted that Silicon Valley, and Berkeley in particular, have the culture of viewing these “downs” as experience and they are considered a very valuable experience. Success, then, often means resilience and ability to get back up again, and that experience helps you create a prosperous business. Another difference in perspective is startups’ ability to think big. Another thing that happens fast in the Valley is networking. Another golden rule for networking is to follow up fast. Mission participants brought back a number of contacts and ideas how to improve their ecosystems. “The Soft-Landing mission has enabled participants to create new partnerships, expand mentor network, connect European and American investors, provided with direct contacts to help European startups scale to US and find partners who could help test their products. Hope this will allow us to bring some of that American mindset to home countries and power up our ecosystems,” notes Andra. “The Soft-Landing Mission to Silicon Valley was an eye opener for me. Everybody who works in startups and innovation should at least be once in the Valley to see what is going on in the Champions League of world scaling tech!” adds Kamil Barbarski, Entrepreneur and Innovation Hacker at kamilbbs.com.